“Wakeiseijaku – Harmony, Respect, Purity, Tranquility” is a nice artwork by Genichiro Inokuma. 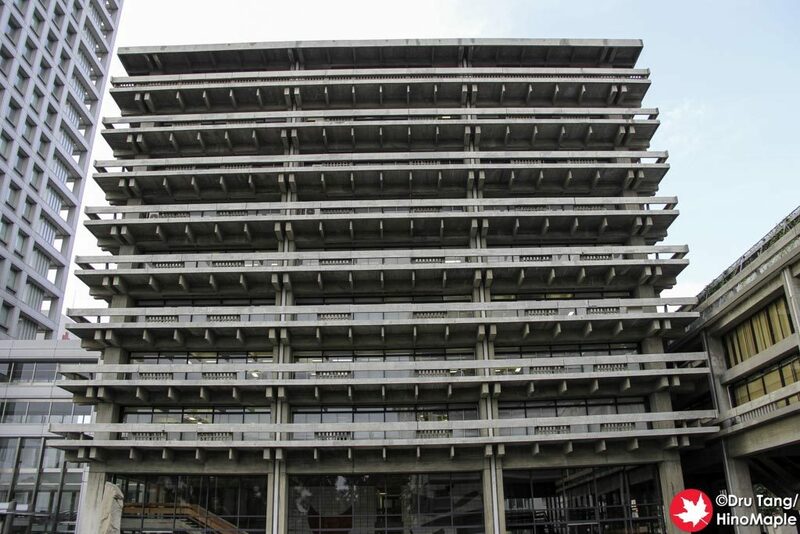 It is part of the Kagawa Prefectural Government Office’s East Building. 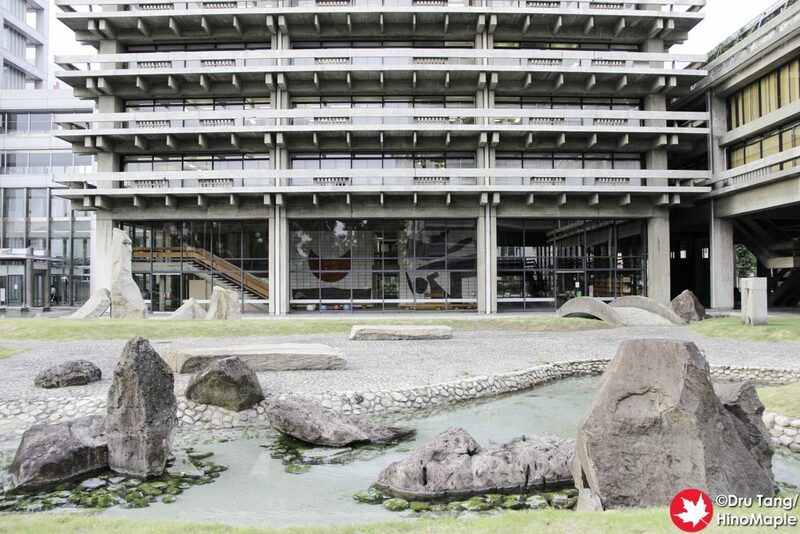 The entire Kagawa Prefectural Government Office was designed by famed architect Kenzo Tange and Genichiro Inokuma’s Wakeiseijaku is a focal point of the lobby of the east building. The artwork is huge and takes up one side of the central column of the building. There is a central column to the east building as it was designed similar to a pagoda where a central spire is built and the floors are connected to the spire. This helps to open up the area and it is spectacular to see everything. The main lobby is huge and the artwork is viewable from outside due to the large windows that surround the lobby. The artwork itself is pretty simple. 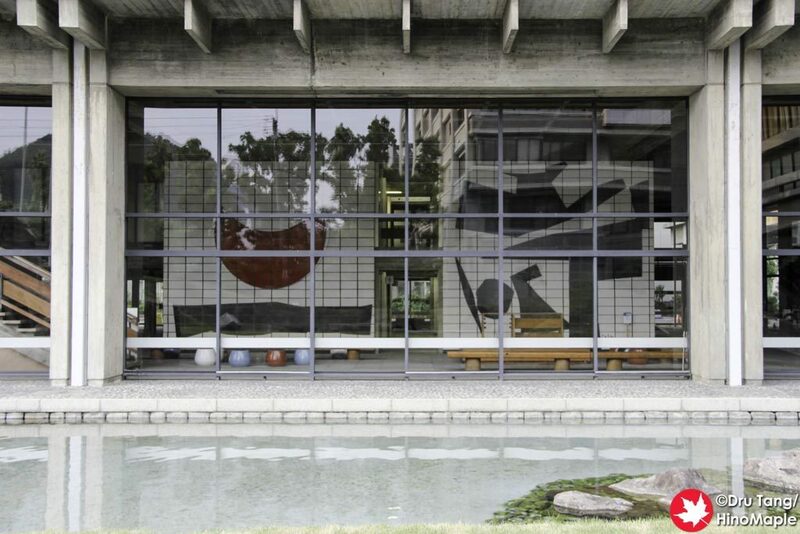 I was more in love with the building by Kenzo Tange rather than the artwork by Genichiro Inokuma, but I still think the artwork was a good fit. The colours of the work were really relaxing and the furniture was well matched with the artwork. The furniture was created with the art in mind and I believe they collaborated on it as well. “Wakeiseijaku – Harmony, Respect, Purity, Tranquility” is a really nice artwork but I do have one regret that I was not able to see the artwork up close in person. I arrived at the Kagawa Prefectural Government Office after they closed so I was not able to enter the east building. I do hope to revisit the office in the future to get an up close view of the artwork if I have time. If you are in Takamatsu it is an easy artwork to visit and is open to the public. This entry was posted in Setouchi Triennale and tagged Genichiro Inokuma, Harmony, japan, Kagawa Prefectural Government Office, Kagawa Prefectural Government Office East Building, Kenzo Tange, Purity, Respect, Takamatsu, Tranquility, Wakeiseijaku, Wakeiseijaku - Harmony by Dru. Bookmark the permalink. Can you believe I’ve never seen this art, despite passing in front of the building countless times? Another case of I’ll-do-it-latertis but at the moment I can’t the building has been under heavy construction. They are doing that much construction? Guess to prepare for the Triennale next year? Hopefully next time I can go when the building is open. No, no, no, I wasn’t being clear. This has nothing to do with the artwork or the Triennale. They’re doing some major renovation to the building itself. But as it’s the prefectoral office at the same time, it’s not like they can close it, so I guess they do little by little or something and it’s taking quite a long time, and the first floor has become one big construction site. I understood that, but was thinking they would be pushing to finish before the Triennale in the same way a lot of companies are pushing to finish construction before the Olympics up here. That’s sometimes the worst part of Japan. Focusing too much on the people and instead of relocating the services to another building nearby temporarily, they just close it off section by section till they finish it. Works well in some cases, poorly in others.